The United Kingdom songbook is filled with an incredible variety of musical genres, artists and bands celebrated all over the world. We salute our British friends for all the extraordinary music and artists they have shared with us. 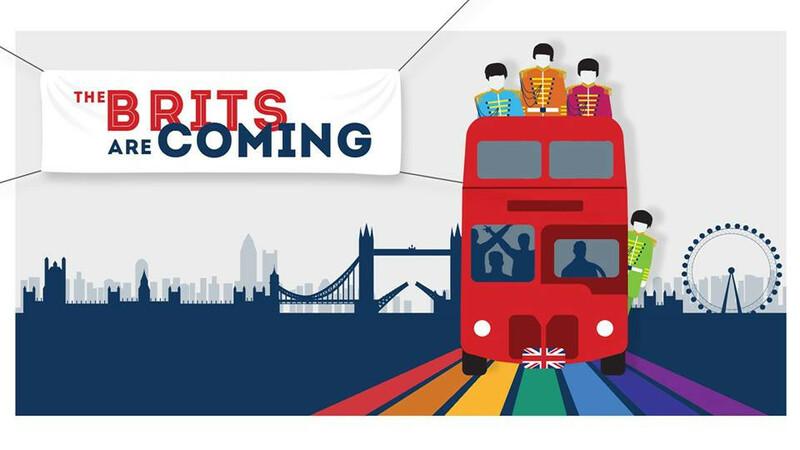 Accompanied by a five-piece band, SFGMC will take audiences on a journey through the colorful and varied British songbook—from Handel and Sir William Walton to The Beatles and Adele to Sir Elton John and, of course, Queen! Special guests from the African-American Shakespeare Company join in the fun with their twist on a rousing scene from the classic comedy A Midsummer Night’s Dream. Grab your mates for a smashing evening of memorable music, cheeky humor, and the posh stylings of 300 queens (minus Elizabeth).